Lilly Sprague, 41, of Naples. A Naples woman faces multiple felony charges including possession of methamphetamine after she was stopped in Lebanon for allegedly not wearing her seat belt. 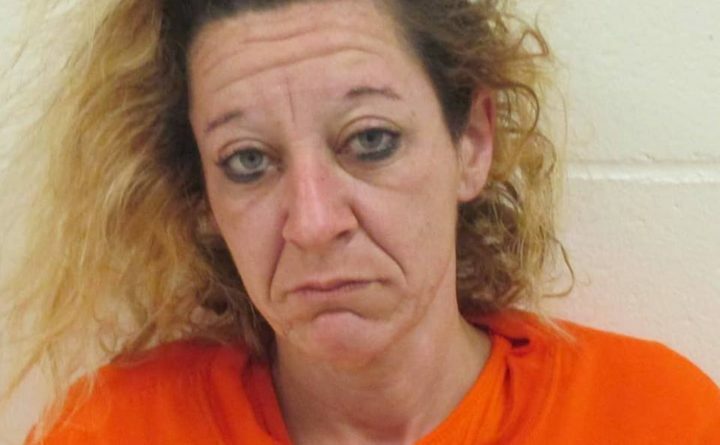 Lilly Sprague, 41, was arrested April 5 on Route 202 near the New Hampshire border at Rochester, Maine State Police said Sunday. After stopping Sprague for allegedly not wearing her seat belt, a state trooper discovered her driver’s license had been revoked, she was a habitual offender and she was on bail for a previous charge of operating after revocation, according to the state police. Lilly allegedly admitted she had been to court earlier that day to face the previous charge of operating after revocation. While Sprague was being arrested, a small baggie of what police suspected to be crystal methamphetamine was found in her pocket, the state police said. She was taken to York County Jail in Alfred and held without bail on a Class C felony charge of operating after revocation. Lilly is expected to face indictment on a felony charge of unlawful possession of a schedule W drug and misdemeanor violation of conditions of release.